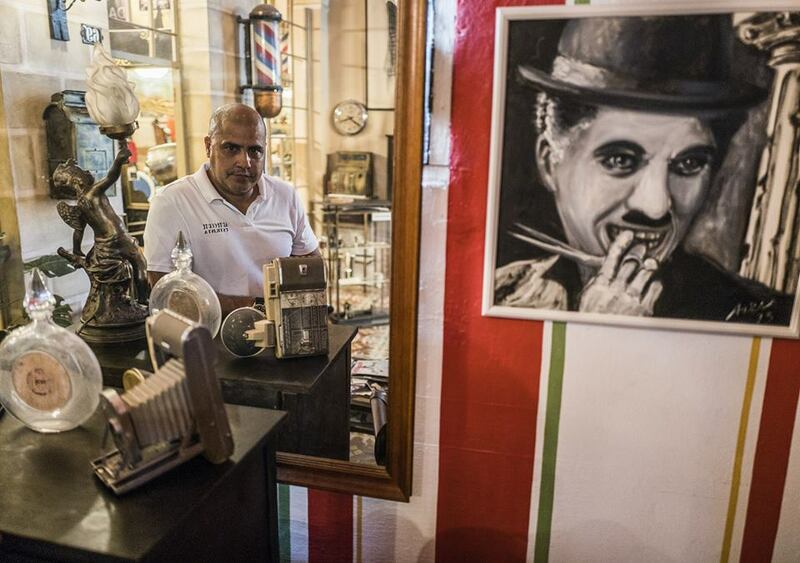 Within nearly 100 meters, Old Havana’s Hairstylists Alley features bars and restaurants where Cuban and international food is dished out, spaces for local crafts and textile pieces, places with collectable objects, two premises where people can have a haircut and over ten families. That section of Aguiar Street between Peña Pobre and Avenida de las Misiones, at the historic core of Cuban capital, used to be dirty and deserted. Nowadays, it welcomes waves of national and foreign visitors, interested in learning the positive aspects of a social project that was conceived within the framework of a private business and is presently headed by a man that grew up there. The beauty salon, also a Museum-House of Barber’s, managed by stylist Gilberto Valladares, was the genesis. Papito, as everybody knows him, started to invest part of his profits in this Havana-based neighborhood named Santo Angel by means of his Cut Art (Arte Corte) project. He gave birth to a solidary economy experience that is presently being joined by new actors. 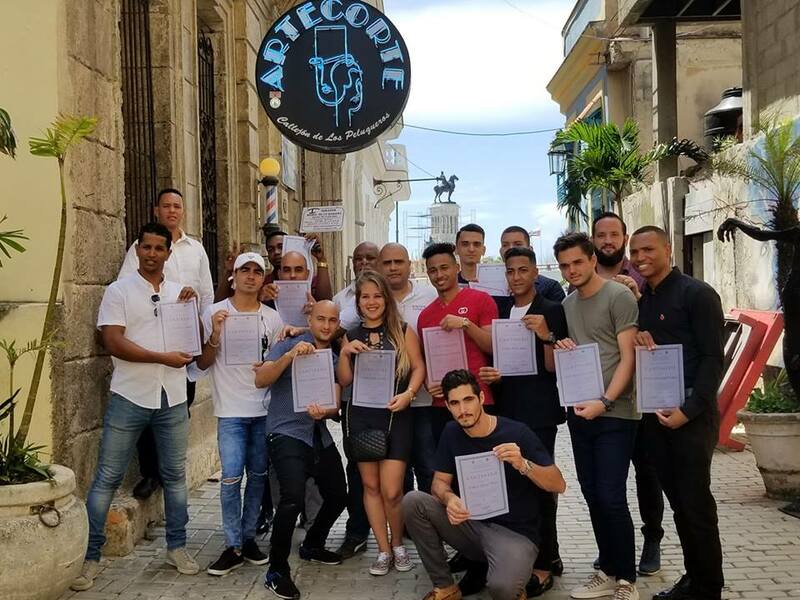 Supported by the Historian’s Office of Havana in the restoration of the property, Gilberto Valladares inaugurated and manages a Hairdresser’s & Barber’s School at the Alley. That’s where youngsters, who are working or studying, learn the trade by means of workshops. Moreover, neighbors are provided the service for free. Both at the school and beauty salon, there are just a few meters between them, people can see age-old armchairs and cash registers, as well as other objects related to this job, which have fallen into disuse in many places. Papito says that they are living museums, since customers use and admire them. This natural-born leader is interested in shedding splendor on ruins and contributing to the development of his community, so he has invited friends and acquaintances. That was how painter Roberto Gonzalez, for instance, inaugurated his Studio-Gallery some time ago and designer Pedro Perez opened his traditional textile pieces store, where he markets the famous guayaberas, a typical national garment. Both owners play an active role in Cut Art: Gonzalez participates or opens his gallery for events such events as Havana Biennale; Perez donates pieces of fabric for a House of the Elderly located in the neighborhood and he recently gave this institution a sewing machine. 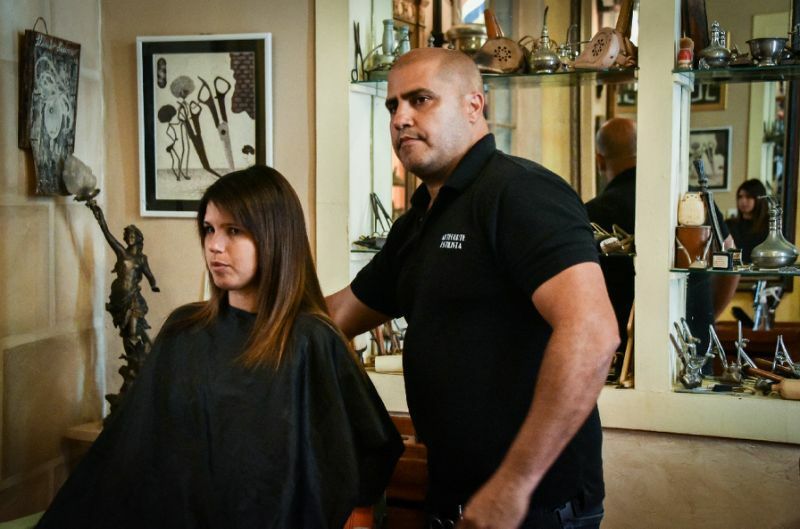 The Hairstylists Alley is a singular experience of solidary economy in Cuba and also an example of how a territory can be favored when the inhabitants design their life projects, including economic plans, linked to the welfare of those who live around them.